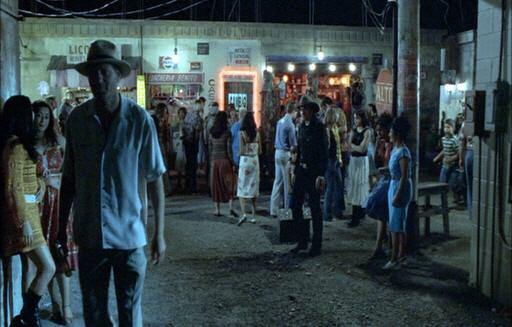 Never has a one-word scene conveyed as much pain as Brokeback Mountain’s Juarez alley scene. 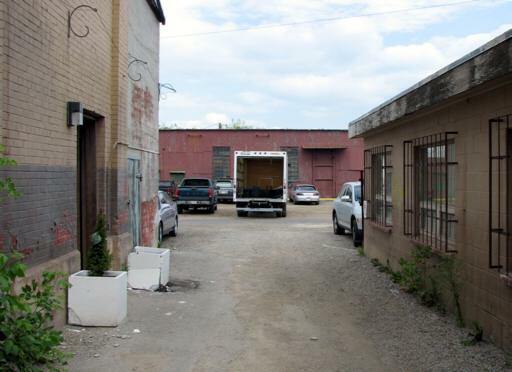 This alley, located behind a former Calgary fitness center, seems an unlikely place for rejected cowboys and Mexican hustlers, but it served both well in the film. The opposite wall, upon which the set designers struggled to crowd in as many Spanish words as possible, is a prop.